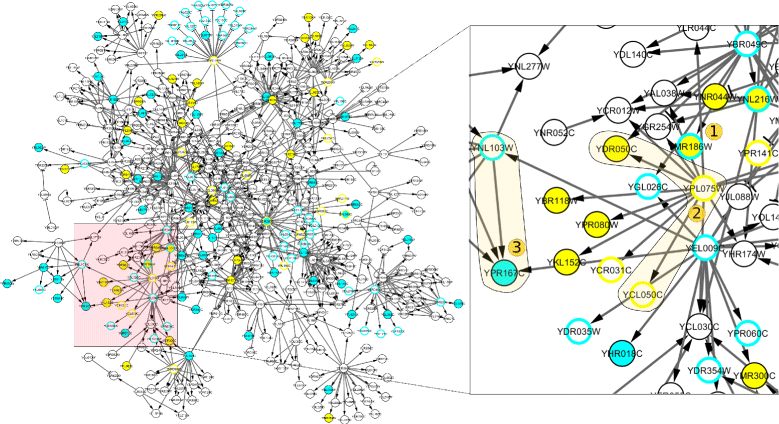 CytoASP is a plugin that allows the use of BioASP for influence graph consistency checking, prediction and repair operations through Cytoscape. While offering inherent benefits over traditional approaches using BioASP, it provides additional advantages such as customized visualisation of predictions and repairs, as well as the ability to analyse multiple networks in parallel, exploiting multi-core architecture. We demonstrate its usage in a case study of a yeast genetic network, and highlight its capabilities in reasoning over regulatory networks. It allows easy integration of qualitative modelling, combining the functionality of BioASP with the visualisation and processing capability in Cytoscape, and thereby greatly simplifying qualitative network modelling, promoting its use in relevant projects. Read the full article here. The Java implementation is publicly available under the MIT license here and also through the Cytoscape APP Store.